BRYC at Ormesby Little Broad! 1. Websites for national associations. 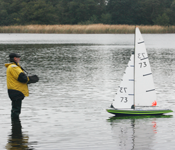 www.mya-uk.org.uk The website home of the Model Yachting Association of the UK. www.iomireland.org The IOM Ireland website. www.radiosailing.org.au The Australian Radio Yachting Association. www.amya.org The American Model Yachting Association. 2. Websites offering technical information and items of general interest. www.onemetre.net Lester Gilbert’s website devoted entirely to the IOM class. www.anderswallin.net Lots of reports and links to other things of interest. 3. Websites of manufacturers offering boats, sails, rigging and fittings. www.bgsailsanddesign.com Brad Gibson’s website for sails and fittings. www.housemartinsails.co.uk Martin Robert’s website for sails, boats and fittings. www.sailsetc.com Graham Bantock’s website for sails, boats and fittings. www.pgmodelisme.com A French manufacturer of boats etc. www.pjsails.co.uk Peter Wiles’ website for boats, sails and fittings. www.kbits.co.uk Ken Binks' website for Radios, Sail Winches and Rudder Servos. www.modelfixings.co.uk/index2.htm Modelers 'engineering parts' at excellent prices. 4. Books on sailing and the Racing Rules. www.sailingbooks.co.uk The website for sailing books and DVD’s. www.finckh.net The “Rules Game” – possibly the best way to learn. www.yachtsandyachting.com The on line yachting magazine. FisherMansToolbox.com............is a place where we review helpful equipment such as depth finders and other tools that help fishermen make the most of the time they spend on the water.